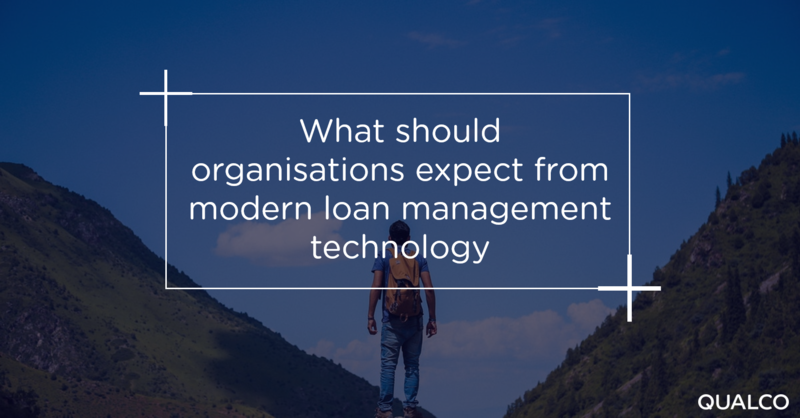 [Checklist] What should organisations expect from modern loan management technology? These financial crises have been accompanied by intense regulatory focus on the way individuals and businesses in debt are treated. Lenders and their servicing partners have transformed their approach, with bespoke restructuring solutions that are much more sophisticated than the old ‘one size fits all’ approach. However, the systems organisations have been using to manage their loans have not necessarily kept pace with this change. Across a wide range of product types, from secured and unsecured consumer loans to small business, real estate, corporate lending and more, many banks and servicers are relying on adaptations to in-house systems that no longer meet the needs of today’s marketplace. In addition, they may be using different systems for origination, loan maintenance and collections. Legacy systems such as these can be difficult, time consuming and expensive to update. Fortunately, technology has adapted for this. Organisations no longer need to rely on patching together outdated systems to deliver the customer and business experience they require. Instead they can opt for end to end loan management, enabling them to manage the loan effectively through all stages. Such technology can be deployed rapidly and in an adaptable way. Taking insights and experience from all stages of the loan lifecycle to design a system that can handle all eventualities, reconciling customer data, financial details and new arrangements, is an important step forward. The benefits of this are huge. Users can achieve the best outcome for the customer and the greatest return on non-performing loans in a simple, trackable and compliant way. They do not need to invest heavily in in-house systems with a long development lead times but can access these functionalities in a web-based environment. No longer do they need to set up multiple accounts to deal with restructuring different strands of debt, as one system can apply different terms, rates and conditions to different elements of the balance. Instead of duplicating efforts by setting up new accounts for repayment plans, creditors and servicers should seek solutions that take a loan from origination to closure, streamlining the administration required. What should an organisation look for when sourcing loan management technology? Management of multiple portfolios in the same environment. The ability to create tailored repayment plans using multiple loan repayment options in a single loan payment schedule. Supports the appliance of different interest rates for distinct amounts, with fixed, floating or defined review periods. The ability to apply periodic or ad-hoc fees and commissions, whether as a percentage or on a fixed fee basis. Open platform integration for fast integration with any existing system at minimal cost using APIs or database sync mechanisms. Interaction with online banking services, mobile applications, BPM Workflows and other channels. Support and expertise in migration and carve out procedures. Continuous monitoring and reporting on a plan’s success/revision.